We already had a lot of articles posted on this website that are inspired by a theme or had a common subject. This time, we try to gather nail designs that are beyond the norms, designs that do not belong to a specific group and are unique in all way. Unique nail designs vary from simple patterns to graphical illustrations. Many are studded with crystals while some just as weird as the universe. 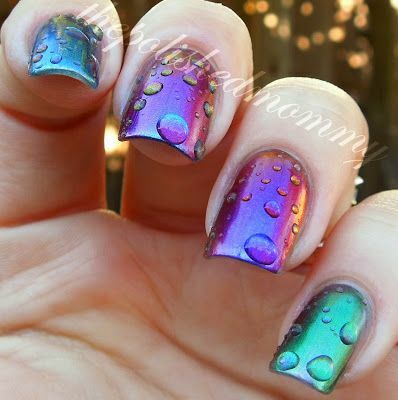 There are nails with 3 or more color polishes combined and mixed to create the uniqueness that I look for this post. Interestingly, the weirdness and the uniqueness of each of the chosen design gives out a good feeling that makes them the nail designs that people really choose for themselves. You guys may refer to the samples below and make it your own or make these samples your guide to start creating unique design just for you. Visit Nail Design Ideas’ profile on Pinterest. Does Nail Polish Hurt Dogs? © All Rights Reserved. Nail Design Ideaz.